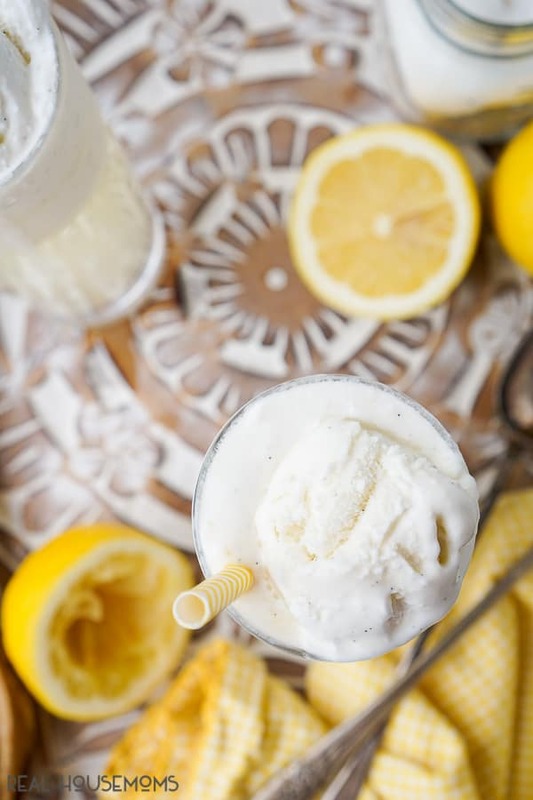 Lemonade Floats pair the season’s most refreshing drink with everyone’s favorite frozen dessert for a sweet and tart treat that’s sure to be a crowd-pleaser! On a muggy afternoon, nothing quenches your thirst quite like an ice-cold glass of lemonade. And when you’re in the mood for something chilly and sweet on a hot day, the best way to conquer that craving is with an ice cream cone. 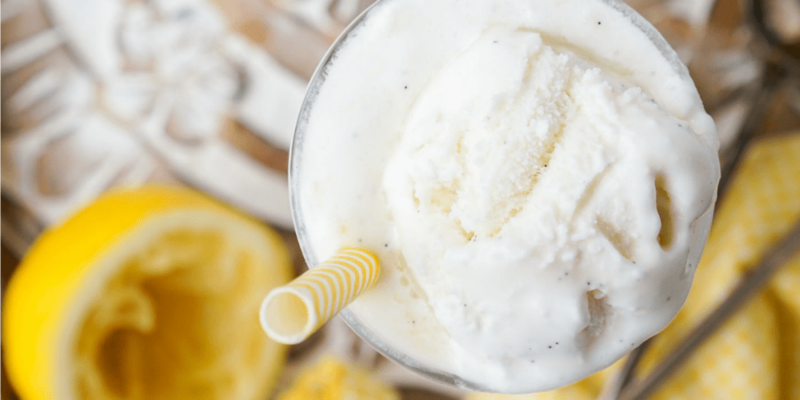 Lemonade Floats combine these classic favorites for a drinkable dessert that’s delicious and refreshing for folks of all ages! These are fun and easy to throw together for guests at cookouts or to enjoy yourself. I make the lemonade from scratch because the flavor of fresh citrus really pops, especially when combined with creamy vanilla ice cream. Make up a pitcher with a simple mixture of water, sugar, and of course, lemons. You may never go back to the powdered stuff again! Before warm weather get-togethers, I always whip up a batch of homemade lemonade. To turn it into a simple dessert, just plop a scoop of vanilla ice cream on top and you have a Lemonade Float! It makes a light treat to cap off a meal of burgers, hot dogs, pasta salad and all the fixings. It’s also the perfect thing to sip while sitting on the porch on a sticky afternoon. Serve Lemonade Floats in parfait glasses and add a striped straw and a cherry for a nostalgic twist. Or, for a more modern vibe, use tall Collins glasses with funkily patterned straws. 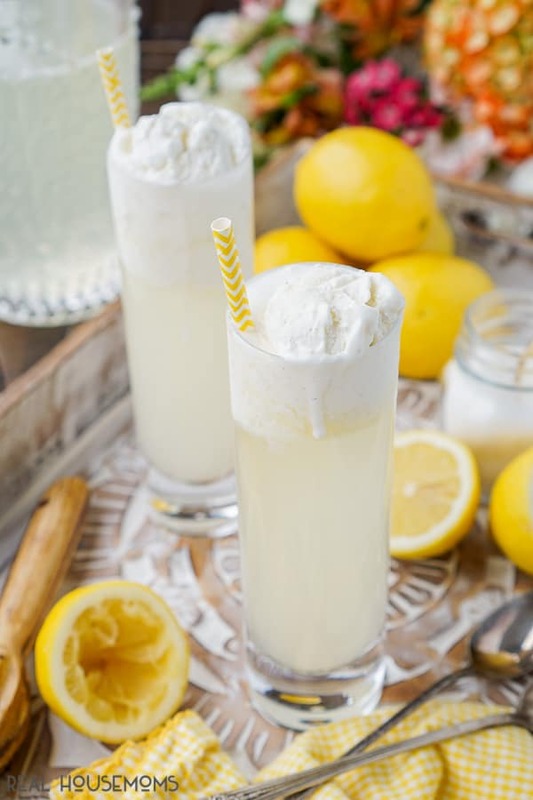 These floats look beautiful in any kind of clear drinkware that displays the ribbons of frothy ice cream melting into the sunny yellow lemonade! And if I really want to have fun with this beverage, spike it! Try adding a shot of vodka, a splash of champagne, or a glug (or two) of coconut rum for a tropical twist. 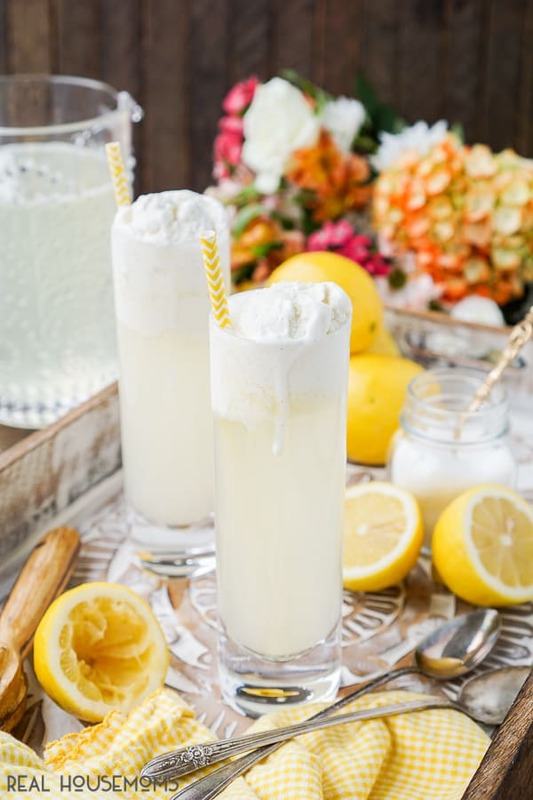 Drink in as much warm-weather fun as you can by sipping Lemonade Floats, which taste like summertime in a glass! Juicer: Having fresh squeezed juice on hand doesn’t have to be a hassle. This juicer is easy to use and perfect for using with lemons and limes. Saucepan: I don’t what I’d do without this saucepan. It gets used in my kitchen every day. The glass lid even has strainer sides so I need a colander for pasta! Pitcher: I love pitcher drinks and this pitcher always gets oohs and ahhs from my friends and readers. Ice Cream Scoop: We eat a lot of ice cream and my house and I’ve gone through countless ice cream scoops of the years. This scoop is hands down my favoirte. It cuts into the ice cream easily and the ice cream comes right out. 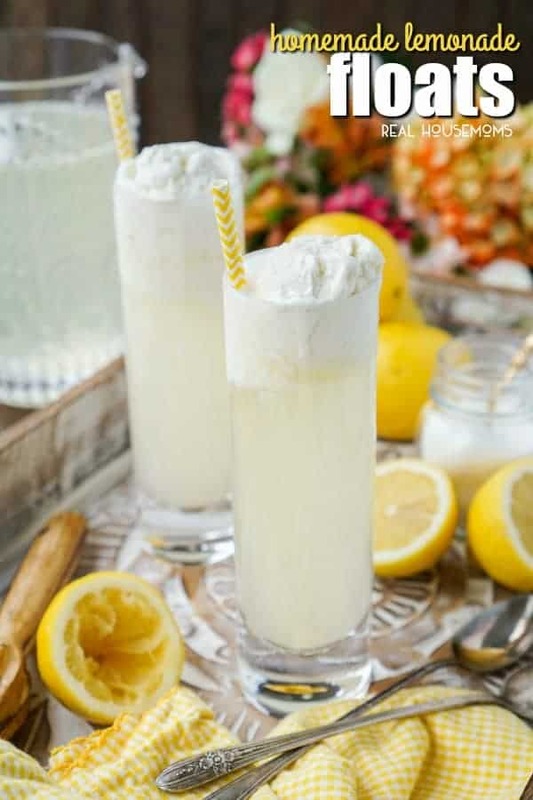 Lemonade Floats pair the season’s most refreshing drink with everyone’s favorite frozen dessert for a sweet and tart treat that’s sure to be a crowd-pleaser. In a small saucepan, combine the sugar and 1 cup of water and bring to a simmer until the sugar dissolves, remove from heat and allow to cool to room temperature. In a large pitcher, stir together the remaining water with the cooled simple syrup and lemon juice. Pour into ice-filled glasses and top with scoops of vanilla ice cream.